One of the main reasons why former high-ranking devotee Christian Opitz ended his involvement in the Oneness Movement is the changes of the term Deeksha to Oneness Blessing, and the change of the message towards prosperity and success. The devotees were told that there were problems with the term Deeksha in the Western World, that many people thought it was a cult because of this term. Christian Opitz has never found this to be true. Countless people believe the Oneness Movement is a cult because of the prices they charge. If that were changed, the movement would really do something for its reputation. Christian Opitz says, that the real reason for both these changes, the change of the message to success, and the term Deeksha to Oneness Blessing –– has a completely different reason that the movement apparently does not want to tell people openly. The reason is, that the famous American self-help guru Tony Robbins demanded these changes of the Oneness Movement and agreed to bring all his famous friends and clients into the movement if they follow his directive. Some of the teachers (Dasas) in the Oneness Movement were obviously coached by Tony Robbins, and at a course in Golden City (today called Oneness University), they sounded like Western-style success coaches. Great idea, Opitz says, take a bunch of monks who took vows of renunciation as teenagers and let them deliver a message of success in the world...but Opitz is regressing. The oneness movement is obviously willing to simply change what they tell people, because a famous person promises them more famous people to join. This sound like a politician campaigning, not like a spiritual movement (typical within New Age and coaching, where the management inspired slogan is “It is not facts, but the best story, which wins!”). At least they should have the honesty to tell people, “hey, we thought it was a great idea for Tony Robbins to decide our message.” But no, they decided to give some reasons they simply made up, pretending to address real problems with these changes. Robbins says: “I built my fortune by modeling the success of others...Now you can copy my mindset and make your millions!” Tony Robbins is himself apparently a designated Oneness blessing giver, and oneness blessing is apparently a regular part of his seminars today. Besides this his seminars and teachings build on management theory and self-help ideas (see my article Management theory and the self-help industry). Robbins´ books include Unlimited Power; The New Science of Personal Achievement and Awaken the Giant Within. In Robbins´ book, Awaken the Giant Within, he recounts meetings with Nelson Mandela, Mikhail Gorbachev, Bill Clinton, Margaret Thatcher, Francois Mitterrand, and Princess Diana. In the audio programs Personal Power and Get the Edge, Robbins says that celebrities who appeared in his infomercials did so without compensation. These include Fran Tarkenton, Pamela Anderson, Quincy Jones, Erin Brockovich and Anthony Hopkins. Buddhist teachers, Hindus, Christian ministers, Rabbis, and indigenous elders from all over the world. On the website of the Oneness University Oneness Blessing is described as a direct transfer, through grace, of intelligent sacred energy which causes the heart to open, heals relationships, quiets the chatter of the mind, opens the doors to higher states of awareness and initiates a process of Awakening into Oneness where there is no longer a sense of separateness. All that remains is the awareness of reality as it is – the joy of being fully present in the moment. The central understanding of Oneness, the website continues, is that inner transformation and awakening into higher states of consciousness is not an outcome of a mere intellectual understanding but a neurobiological process in the brain, whereby one´s experience of life is redefined at its core. Oneness in many regards, the website claims, has a highly scientific approach, quite evident in the teachings of Sri Amma Bhagavan, and this actually comes as a relief to the many Oneness followers ranging from the younger generation in the intellectual/elite classes, who abhor bliend belief and unscientific philosophy at all levels. This kind of a vastly liberal and truly secular approach, the website claims, cause that whatever path of spiritual awakening you are on will be supported. It is recognised as by far the easiest and most effective approach to enriching human consciousness. It can be fully achieved through the 21-day Process. This gift, the website says, is for all of us, no matter our belief systems. We begin with ourselves and through Oneness Blessings the ripple effect goes out to all of mankind. As consciousness is raised we can create together love and compassion for all, allowing the effects of the Oneness Blessing to flow out to all life on the planet and beyond. Well? Any doubt? I will start my critique by showing the simple self-contradiction in the above-mentioned words that it is for everyone. Well, anyone with $5500 that is! That´s the fee for the trademarked 21-day “Process”. No matter what so-called Oneness Blessing givers may say, then the central message in true spirituality is, that a Deeksha-giver has to be a fully enlightened master and the receiver should be very close to enlightenment; that is: on a very high level of spiritual development, either from birth, or through many years of spiritual practice. Therefore it is only a very few people who are ready for it. The Oneness movement is therefore fully a part of the management oriented idea about that spirituality on one side has to be made into a business, and on the other side has to be made user-friendly, so that anyone can buy it. This is seen in the enormous New Age market, where you in a few weekends can get yourself an education as clairvoyant, channeler, shaman, spiritual teacher. You don´t need any intellectual knowledge or spiritual experience. It´s available for anybody, or for anybody who can pay the price! My message with this article is to show, that no one in the Oneness movement is enlightened, neither the Oneness blessing givers, hereunder Sri Bhagavan and Sri Amma, nor the receivers. Something else is going on, and that is a huge mix of manipulation and self-deception. I will begin this article with a description of the thought distortion Illusion of control. The article will mention a lot of other thought distortions involved in the Oneness movement, and you can read more about them in my book A dictionary of thought distortions. Control makes us feel powerful, which is a good feeling. And feeling that there is a right order in the universe, that some being, God or guru, are in control of everything that happens is comforting to many people. Is there any harm in this? What´s the harm in obliterating truth and reality in favor of what you want to be true? A great deal of harm can come from deluding yourself that you can control your health, spiritual development and your wealth, or somebody else´s health, spiritual development amd wealth, by your thoughts and prayers or other superstitious actions. In my article The emotional painbody and why psychotherapy can´t heal it, I explain how the painbody, through the inner evaluating ego, is connected with the more dangerous depths of the astral plane´s collective history; you might call it original sin or negative karma. This you can´t control. In my article The value of having a religion in a spiritual practice I describe that only an intervention from the source (God, Christ, the enlightened consciousness) can basically help Man with a trancendence of the negative karma of the original sin. But in order to be able to receive this help you must do your part of the work: the spiritual practice. Many years. And this means that you need to re-structure the ego´s ownership to things, food, personal power, sexuality and emotions. Spiritual practice is in all simplicity about separating and dismantling the consciousness´ automatical identification with all this, in order to turn the consciousness in towards its source. First thereafter the mystical process can begin. The magnet of attraction, which the ego is controlled by – (the ego´s identity with the material world: instincts, sexuality, emotions, desire, collective ideals, ownership, personal power) – will in a true spiritual practice loose its attraction. Investments in the material world´s ups and downs, its demands, temptations and dramas, become undramatized, uninteresting, even meaningsless, in relation to the consciousness´ opening direction in towards its spiritual essence: the now, the wholeness, life itself, and finally: the eternal otherness, from where the good, the true and the beautiful are streaming as grace and forgiveness. In this movement in towards the source you begin to ask philosophical questions in a meditative-existential way: Who am I? Where do the thoughts come from? What is consciousness and where does it come from? Is there a meaning of life? How does man preserve peace of mind and balance in all the relationships of life? How do we learn to appreciate the true goods and flout all transient and vain goals? Is the destiny of Man part of a larger plan? In this way the grab, which the material world has in your mind, is automatically reduced (I have explained this in my book Meditation as an Art of Life – a basic reader). Very few people will be willing to do this work. On the contrary many people have today done an illusory work of trying to re-define this ancient wisdom, so that the magnet of attraction directly is becoming the object of worship. That´s what the law of attraction movement is about (see my article The New Thought movement and the law of attraction). Another aspect of the true spiritual practice is that you break the automatic process of compensatory karma, which is closely related to the material world, laws of nature, cycles of life, yes actually pure causal regularity of mechanical kind. It would be an illusion to connect such things with a superior intentional divine order (see the thought disortion Intentionality bias). Furthermore you have your free will either to continue to be identified with the area of compensatory karma, or break with it, and move in towards the source, which is the area of progressive karma (where the mystical process begins) – about karma see my articles What is karma?, and A critique of Stanislav Grof and Holotropic Breathwork. Filmaker Vikram Gandhi is a young East Coast American from an Indian family. He is astonished by the success of Eastern-style gurus in the wealthiest parts of the world. As an experiment, Gandhi learns the trick of the yoga trade, dresses himself as a guru, lets his beard grow, adopts a thick accent, and sets off under the name Kumaré to the desert city of Phoenix, Arizona. There, he quickly gathers a group of followers around him, whom he teaches to meditate to catchphrases such as “Be all that you can be.” The tone of Kumaré remains lighthearted throughout. Despite taking his disciples for a ride, much in the style of Sacha Baron Cohen´s character Borat, he always treats them with kindness and sympathy. Gandhi/Kumaré stitches the narrative together with a matter-of-fact commentary recorded after the event, never disclosing to what extent he became wrapped up in his role as wise spiritual Indian leader. In a world Kumaré conceives as pure illusion and a product of our inner eye, the filmaker raises the question of whether the part he plays means he has become illusion incarnate. And this triggers the question in the viewer´s mind of whether what is apparently a fake documentary actually hides a deeper truth. Kumaré also refers to himself as “The Mirror.” His method is the so-called Mirror Yoga (The Kumaré Method). What is interesting in connection with this article is that he also performs Shaktipat, and his followers report having precisely the same experiences as the Oneness Blessing followers. Clairvoyants and channelers claim to see his pure aura and chakras, and how an archangel is standing behind him, etc. Kumaré uses some common New Age phrases such as references to vibrations and energy, advices to avoid the negative, stop doubting, follow your intuitions and premonitions, flow with coincidences, believe in the purposiveness of everything, join thousands of others on the quest, turn into your feelings and evolve to a higher plane. Follow your intuitions and dreams as you go through your spiritual evolution. Fact or fiction, it doesn´t matter. Truth is what you make it. Life´s too short and too complicated to deal with reality. Make your own reality. This New Age subjectivism and relativism encourage people to believe that reality is whatever you want it to be. The line between fact and fiction gets blurry and obscured. And therewith people are directed into the area of magical thinking, where you don´t discriminate between image and reality, illusion and truth. And therewith you also have the elimination of critical thinking, which precisely is about discriminating between image and reality, illusion and truth. Critical thinking is not only crucial in science and philosophy, but also in spirituality. The Dominican mystics call this steps discriminatio, the ability to discriminate between how the energy is used temporal or religious. And despite that magical thinking actually can create something magical, then in true spirituality it is still something temporal, or relatively (black magic/occultism), which will create negative karma if practised. The Orientals call it viveka, discrimination, the ability to use your will on that part of the energy, you can steer yourself, and steer it towards exercises, prayer, mantras, meditation, instead of towards career, worldliness, self-unfolding, as for example New Thought does (see my article The New Thought movement and the law of attraction). The central teaching in both science, philosophy and spirituality is: discriminate between image and reality! So, where does New Age have this idea about subjectivism and relativism from? It doesn´t come from spirituality, but from the postmodern intellectualism on Western Universities. The scary thing about it, is how widely spread it is, creating hostility towards critical thinking. Management theory and self-help is accepted as a central part of EU´s project on lifelong learning and education. There exists no secularism when it comes to this psycho-religiousness – a global spreading totalitarian ideology which I under one has called The Matrix Conspiracy (see my article The Matrix Conspiracy). But if truth is what you want it to be, then you must accept, that everything from Nazism, Fascism, Dictatorship, popular murder, terror and violence is as equally true as democracy, negotiation and dialogue. Subjectivism shuts down people´s critical faculties, making them suggestible for any ideology. It involves making people quit thinking critically in order to open them up to thinking magical about that subjective validation and communal reinforcement lead to bliss. In New Age hypnosis is directly used as a means for inducing in people certain worldviews (see my article Hypnosis, hypnotherapy and the art of self-deception). I have already presented you for the thought distortion called Illusion of control. Before I tell the hidden story behind the Oneness movement I will present you for another thought distortion called Cognitive dissonance, because it also is one of the central thought distortions the movement is characterized by. Cognitive dissonance is a discomfort caused by holding conflicting ideas simultaneously. The theory of cognitive dissonance proposes that people have a motivational drive to reduce dissonance. They do this by changing their attitudes, beliefs and actions. Dissonance is also reduced by justifying, blaming and denying. So, dissonance is aroused when people are confronted with information that is inconsistent with their beliefs. If the dissonance is not reduced by changing one´s belief, the dissonance can result in misperception or rejection of the information. An overarching principle of cognitive dissonance is that it involves the formation of an idea or emotion in conflict with a fundamental element of the self-concept, such as “I am a successful/functional person”, “I am a good person”, or “I have made the right decision.” The anxiety that comes with the possibility of having made a bad decision can lead to the thought distortion called Rationalization, the tendency to create additional reasons or justifications to support one´s choices. One situation that may create dissonance is when someone does a favor for a person that they dislike. Here, the dissonance is between those negative feelings for the other person, and the awareness of having expended effort to help them. Cognitive dissonance predicts that people will try to resolve this dissonance by adopting a more positive attitude towards the other person. A counterpart to this effect is when someone´s actions hurt another person, whom they regard positively or neutrally. In this case, one way to resolve the dissonance is to think more negatively about that person, so that they seem to deserve what happened to them. Smoking is another example of cognitive dissonance, because it is widely accepted that cigarettes can cause lung cancer. Smokers could rationalize their behavior by concluding that only a few smokers become ill, that it only happens to very heavy smokers, or that if smoking does not kill them, something else will. The phrase cognitive dissonance was coined by Leon Festinger in his 1956 book When Prophecy Fails, which chronicled the followers of a UFO cult as reality clashed with their fervent beliefs. The book gave an inside account of the increasing belief which sometimes follows the failure of a cult´s prophecy. The believers met at a pre-determined place and time, believing they alone would survive the Earth´s destruction. The appointed time came and passed without incident. They faced acute cognitive dissonance: had they been the victims of a hoax? Had they donated their worldly possessions in vain? Most members chose to believe something less dissonant: the aliens had given earth a second chance, and the group was now empowered to spread the word: earthspoiling must stop. The group dramatically increased their proselytism despite the failed prophecy. I will reproduce reports from one who knew Bhagavan before he became a guru, Mr Sivam, and three former Oneness devotees: Freddy Nielsen, Christian Opitz and Tobi. Mr. R.P. Sivam is a person who well knew Sri Bhagavan before he became a guru. He reports that the name his parents gave him was Vijaykumar Naidu (b. 1949). I shall hereafter refer to him as VK. VK did not hail from an intellectual, spiritual or noble ancestry, therefore his natural cultural inclination was to find security in a secure government or public sector job. After finishing his basic education, the clever and creative VK joined Life Insurance Corporation of India (LIC) as an office clerk. When he had reached marriageable age he was quickly married off to Padmavathy, a woman from his own caste and clan. Though Padmavathy did not attend college, she could read and write but could not speak English. Mr Sivam says that Padmavathy not is what they in India call a sophisticated or a cultivated lady. She had a great female instinct and could sense her husband´s appetite for other women. She often quarrelled with him when he showed excessive interest in other women. There was even a time when a friend of Mr Sivam intervened to calm the quarreling couple. Padmavathy is a very straight-talking, no-nonsense woman who often unhesitatingly confronted VK in public. Her language, while shouting at VK, was rough and somewhat disrespectful. Padmavathy is the one person capable of embarrassing or frightening him into submission. Mr Sivam is not at all surprised by the strategy adopted by VK in including her in the launching of Kalki Bhagavan and Amma Spiritual Company Private Limited. This would ensure that the public know of his marital status and keep Padmavathy comfortable. Her title as Amma has also given her a sense of supreme authority in the organizational hierarchy. As a young man VK got introduced to the teachings of the true enlightened master J. Krishnamurti (hereafter JK) through a friend, Dr. R. Shankar, who brought VK into a JK school in India, the Rishi Valley School (about JK, see my article The philosophy of Krishnamurti). He bacame a mid-level administrator. Here he also began to report about having spiritual experiences. He also began to have ambitions to become a leading guru-figure himself. JK criticized VK´s spiritual experiences and pretensions. Mr Sivam often heard VK saying that we need people to do things and help our cause, and after they have served their purpose they can just go on with their lives. In short he meant he would use people and discard them when they have outlived their usefulness. People who know VK well, know he can be very opinionated and even rude when speaking about others. But when actually speaking with the person, he would always be very charming and friendly. After this person leaves, VK generally, among his “trusted” friends (for exampel Mr Sivam), had no problems saying anything derogative about the person. Without asking permission VK read letters JK had written to Dr. Shankar, which JK had specifically asked Dr. Shankar to keep private. Here he discovered JK´s critique of him. Reading the letter deeply hurt VK´s pride and he never forgave JK. From then on his desire to become a guru in his own right got fully strengthened. He began visiting U.G. Krishnamurti (1918-2007). U.G. is one of the many claimed “enlightened” gurus. He used to bad-mouth JK, Buddha, and Ramana Maharshi and says vile things about them. While UG was visiting Bangalore, Mr Sivam once accompanied VK to meet UG. In the early 1980s he met UG and learnt the art of dealing with followers. He gradually started showing his dislike for JK and even went to the extent of always addressing JK as “Avan”, a very disrespectful and derogatory Tamil term. Dr Shankar and others wanted to propagate JK´s teachings. Many people responded to their advertisement in “India Today,” a mainstream national magazine, and wanted to join this movement. JK was appalled as he was against this way of going public with propaganda. He wanted them all to tow the line or leave the organization. This led to the exit of Dr Shankar and all who had been brought in by him, hereunder VK. Two former teachers from JK´s Rishi Valley School offered Shankar and VK land. This was how Rajupeta land, near Kuppam (Chittoor district) was acquired. A school modelled to imitate Rishi Valley School was lauched, and it was here VK´s story from rags to riches began. Vijaykumar changed his name several times, but the name he has right now, Bhagavan, means the lord God incarnate. After this he is giving his wife the name Amma, which means some kind of divine mother. They began claiming that they are the first 100% Avatars throughout history, and that they have created the entire Universe. But in India people tend to ignore thousands of budding Gurus; this makes opportunistic pseudo-gurus walk around scouting for credible people (successful people, politicians, actors, artists, scholars) to endorse them. When Westerners gather and show devotion to a budding guru, his Indian following increases manifold, because the average Indian thinks highly of the white skinned affluent truth seeker. Therefore VK had to bring in Westerners. The following is based on former primary missionary Freddy Nielsen´s revelations (hereafter FN). FN reports that Bhagavan changed his name at least nine times the first few years he was in the movement. He also changed teaching and approach regularly, which of course only caused confusion. And also the name of his movement was changed many times. In 1993 the devotees talked about the new wave of mass enlightenment that Bhagavan had initiated a few month ago; how very, very soon the entire world was going to become enlightened. As far as FN remembers, they said that this wave would result in mankind´s total enlightenment by the year 2000. FN goes on to report the inconsistencies and contradictions in Bhagavan and Anandagiri (a disciple) each confirming Anandagiri´s “full enlightenment,” which was not so “full” after all, since several times it needed renewal or updating. This is an example of cognitive dissonance, which also characterizes how that truths, teachings, approaches, names, history etc. constantly being changed by Bhagavan. At age 13-14, Anandagiri described his state to be similar to what people often understand as enlightenment. 2 or 3 years later, in 1993, Bhagavan declared Anandagiri irreversible enlightened. Soon Anandagiri and hundreds other “enlightened” devotees discovered that what Bhagavan said was permanent was in fact impermanent. A few years later, around 1997 or 1998, Anandagiri was again being projected as an enlightened teacher. FN says, that Bhagavan often has declared people permanently and supremely enlightened. When the “enlightened” person gets depressed again, Bhagavan tries to avoid speaking about it. What Bhagavan calls permanent enlightenment is, as I will explain later, in fact a kind of ego-inflation as the cause of different levels of peak experiences. It is also this that causes that people can say, that their ego has dissapeared. What in reality happens is that the ego has gone into an altered inflated state. As mentioned Bhagavan started to give mass enlightenment to mankind after New Year 1993. In October 1992, an entire school in Chennai (called Balalok) started to go through the programs. The school was owned and run by a married couple, Mr Bhat and Mrs Vanitha Bhat, who also happened to be its principal and head master. They inspired or asked all students to attend the courses. Some 200-400 students came to the courses in smaller groups. Some came before New Year 1993, others after. Soon Bhagavan declared almost all the students enlightened. The students were pretty young, between 12 and 15 years old. After a few month though, most participants and students of Balalak school started to complain about suffering and various problems (explanation follows). It was obvious that they were not at all enlightened, and whatever state they had got in January 1993 was only temporary. FN says that giving enlightenment has always ended in failure, and each time Bhagavan comes up with “explanations.” And this continued after the so-called 21 days process had been created. FN reports that many/most of the persons he knew got into depression after having been declared enlightened. Rather often these depressions were deep; people lost interest in life, nothing could make them happy anymore. Many of them also doubted that life had a deeper meaning and that there was a God. But there are also reports that several people who have received deeksha have gone to the mental hospital. On the web page, they mention “the dark night of the soul,” but it is rather psychosis and deep depressions (note that the dark night of the soul is an expression of that something has gone totally wrong, as I will explain later). A former deeksha giver reports that she saw with her own eyes people who participated in the process in India in serious psychosis. They should have been sent away from there to get treatment, but instead the assistants made them believe that it was “just a part of the process.” – Note that this is precisely the same you hear from Stanislav Grof and his Holotropic Breathwork consultants, as well as other Carthartic and Regression oriented psychotherapists (see my articles A critique of Stanislav Grof and Holotropic Breathwork, Cathartic psychotherapies, and Regression psychotherapies). Westerners have no access to get a private meeting or even a one minute private darshan (lit. To see or meet a saint or a god) with Bhagavan. The only way for Westerners is to be famous or rich. Indians have to pay a huge amount of money to meet Bhagavan in person. It is about $2000-3000 US dollars for a meeting of 20-30 minutes. FN was given strict guidelines regarding what kind of people who were welcome (and who were not) to come for the “VIP process” – a 21 days process, free of charge, in luxurious surroundings. FN also got guidelines as to who among the VIPs additionally could get a private meeting with Bhagavan. Only VVIPs (lit. Very, very important person) were invited to meet Bhagavan: rich or famous people, famous spiritual teachers who could make Bhagavan (world) famous or a possible big sponsor. FN reports about how he had been sitting next to Bhagavan innumerable times when he has been meeting people, both private and group meetings. Bhagavan often discussed or commented with him (and trusted disciples) after they had left. He usually told which people he did not like, made malicious jokes about their, in his opinion, odd ways or shallow questions. FN says he is not used to such discussions where humiliating things are spoken behind people´s backs; sometimes Bhagavan was rather sarcastic, and that this condescending attitude of Bhagavan was one of the major tests for FN´s faith in him as mankind´s savior and God Almighty. FN reports that Bhagavan was especially scathing about the insensitivity and spiritual stupidity of Americans. Bhagavan said that he was the first full incarnation of God in more than 20,000 years, and if mankind will not cooperate with him, it cannot get enlightened and will therefore die as species. It was in this connection rare that he spoke nice or approving words about other gurus or masters. He regularly ridiculed them – sometimes even in a rude way; or at least emphasizing that he is infinitely more powerful than they are. He for example said that Ramana Maharshi did not give enlightenment to anyone, what he gave was not full enlightenment. In Bhagavan´s opinion, most spiritual teachers were not actually enlightened..., or had an inferior kind of enlightenment that should not be called enlightenment at all. The dasas (the teachers in the Oneness University) have much, much higher states than Buddha, Ramana, etc., he maintains. Bhagavan told FN, that FN´s process of enlightenment, was going to give him a permanent state that was 100 times higher than what Ramana Maharshi had. Paramacharya (Dr Shankar) said in 1992 or 1993 that more miracles (incl. healing) has occurred around Bhagavan in 3-4 years than in the entire history of mankind, with all its religions and spiritual masters. Bhagavan said, that if he cannot heal a disease, that means that God also cannot. There are innumerable examples of when Bhagavan promised sick or even dying people that he was going to heal them. The healing results were pretty much like that of an average healer (including the placebo effect – see the thought distortion Classical conditioning and placebo effects). It was a shock for these people when they realized that Bhagavan had not kept his promise. Some people even died of cancer shortly after Bhagavan had given them his word that he could cure them and prevent them from dying (from the cancer). 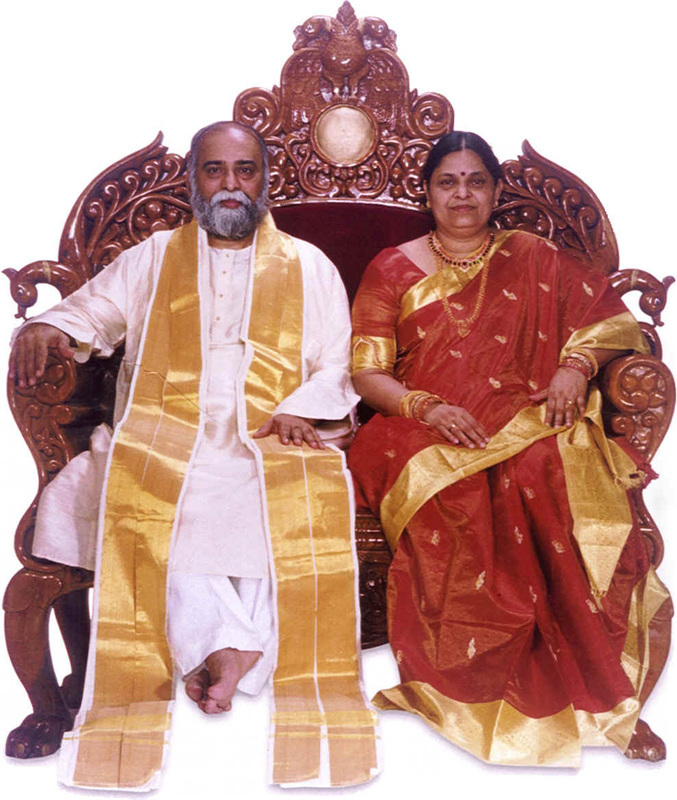 To FN Bhagavan´s wife Amma was just Bhagavan´s wife. She was not the one who talked to the people from the courses, she did not meet Western devotees etc., though she gave darshans to Indians. She was just the head of the kitchen in the school, and she also happened to be Bhagavan´s wife. She looked angry or dissatisfied most of the time. FN hardly ever saw her smile. He did not trust her and disliked her rough and dominant nature. FN felt terrible shame before the participants who did not get enlightened after Bhagavan had promised them, and today he regret bringing them to India. He is immensely sad that he has been the cause to so much unnecessary suffering and problems and he can´t apologize enough to all of them. He was lead on a wrong track and inspired many to follow him. He was a blind man leading others. FN has more or less witnessed the birth of the Oneness movement (he joined it in 1990), and he has seen that Bhagavan on purpose seem to use lies to manipulate people and situations. I have already mentioned another former high ranking Oneness devotee, Christian Opitz (hereafter OP), who was the “chief neuroscientist” in the movement. He says that the most problematic issuse with the Oneness movement is that it continues to foster illusions in people, rather than serving to liberate their followers from illusion. In 2004, the big promise was personal enlightenment for everybody involved and enlightenment for the whole world by 2012. When the first huge wave of disappointment crashed on the shores of OM, there were some apologies and it was simply stated that enlightenment takes a little longer. World awakening by 2012 was still promised with full force, the elimination of all political conflict by 2008 and other fantasy promises were openly stated. OP says, that the fundamental illusion that the OM has fed to people again and again is, that with deeksha you operate in a different league. Whether it was about getting enlightened with no effort, having all your desires fulfilled as was promised with the phala deeksha in 2005 or the recent claim that deeksha givers are now endowed with siddhis (powers) to perform miracles, the idea that through deeksha a life that would otherwise remain utopia becomes real has always been encouraged. It just isn´t so, OP says. He reports that deeksha givers struggle with life like everybody else. Deeksha givers grow spiritually to the degree they can let go of illusion, be truly aware of what is, like any other spiritual seeker. They have success and failures according to their talent, work ethic or lack thereof. Deeksha givers are as much subject to the waves of life, karma or whatever, like everybody else. In 2004, so many Western deeksha givers reported the enormous peak experiences that were common then in the Golden city (today Oneness University). In early 2005 when OP did the 21 day course, these experiences no longer occurred. People were told that Bhagavan had decided to no longer “give” them, because they were distracting from true enlightenment. Sounded very reasonable. All of this fostered the myth that Bhagavan has the ability to simply switch on and off such effects of deeksha, that he could influence a person´s consciousness to a degree that seemed unheard of. From all OP know now, it seems clear that in 2004, there was a psychedelic substance used in a herbal preparation that was given to participants in the courses, which really caused many if not most of the peak experiences. It was given without the participants´ consent and presumable without their will if they were to know what he was doing to them. Before this preparation called leyham was introduced, no peak experiences occurred in early 2004 in a course where participants were promised enlightenment in five days. Wanting to appease the disappointed folks, Bhagavan invited everybody for another free course. This time leyham was given for the first time and people had incredible experiences of cosmic oneness, blood-boiling love etc. These usually occurred after taking leyham. Whatever this tuff was, it also caused severe nausea and vomiting. The type of peak experiences described by a number of people following deeksha in Kiara Windrider´s book Deeksha – the fire from Heaven were almost certainly the result of this drug. Some people could not handle the leyham and had psychotic episodes, even after leaving Golden city they had screaming fits at the airport, which almost caused problems for the OM with the police. OP knows this from first hand reports from several people who were there. In 2005, when Bhagavan did no longer “give” peak experiences, people were told that some people had gone into such high samadhis (trance states), they had been dysfunctional at the airport. Simply not true, OP reports. The people who had psychotic episodes were accompanied to the airport to get them on the plane without causing trouble. After that, they received no help, no support from the OM and their stories were changed into another PR pitch that helped to foster the myth of Bhagavan´s ability to just give people incredible high states of consciousness. Tobi, a former prominent Deeksha giver in Sweden, reports about how one gets sucked into the cult. First you attend a deeksha evening somewhere and you are given this energy from a deeksha giver who did already this process in india and who paid about $6,000 to become a deeksha giver. As this energy is given to you you may feel sometimes energy flowing to you or nothing at all. This is not worrisome as it is collective energy– or lifeprocesses, which are being invoked by the group (I will explain this later). So the bigger the group is the bigger energy flow. The problem starts when the people who receive deeksha believe they are in an inferior spiritual position compared to the deeksha givers. When this happens you feel like getting or asking for more and more deekshas. Then you go to more deeksha evenings spending your money until you yourself fall in the conclusion that you definitely want to get at least so enlightened like the deeksha giver and you start to copy his process. (If the whole thing is mixed with success coaching, NLP and Large Group Awareness Training, you might now remember Tony Robbins words: “I built my fortune by modeling the success of others...Now you can copy my mindset and make your millions!”). The deeksha giver will then advice you to go to India to complete a 21 days process where you will become a deeksha giver, a helper of vishny enlightenment in the world. From this moment forward you better get your wallet prepared! The deeksha giver will ask then from you for the so-called coordination money which covers translations, telephone calls, and the comission process. Then one week before the trip to India you are asked to pay to an account in Singapore, not in India (so they in India don´t have to pay taxes). You will pay another $5,000 for the proper course in India. They will tell you that in any five stars hotel in the world you will pay this amount and plus you get the state of oneness and you see the full incarnation of the avatar of enlightenment, Kalki Bhagavan and his wife. Tobi now speaks in NLP terminology. He says that before the trip to India the deeksha givers will organise a pre-programming course to make sure you don´t need nor want to get those experiences you paid for, but just out of blind devotion you just want to see the avatars and join a process with no finish date and no guaranty of success of any kind...Many people are at this stage thinking they are so special that they don´t need any proof nor guarantee...They will make you feel that you are one of the most special people in the world and therefore you have being given the opportunity to spend a total of $ 7,000 for the enlightenment of the world. During the 21 day process in India your brain is programmed to feel the importance of being there and the importance to see the avatar. You will be introduced to the dasas who are the teachers of this movement who are allways in hurry and will not pay too much attention to what is going on within you. You pretty much feel you are a 5,000 dollar-bill walking through the ashram. You will be in a prison-like hotel where hardly ever you are taken away from (allowed to go out). So the programming gets more fixed in your mind, you get a “big brother” complex fighting to get more enlightened than the others. Day by day you will loose your inner honesty to yourself and to your real needs. You will read books and see pictures of the master and your mind will start to fantasize. You will see other people in the group trying to be more loyal to Bhagavan so as to get more enlightened and therefore you will feel like meditating like Lord Shiva and many other paranoias as your mind will try to justify your staying in that place. Other people will fall into depression as they honestly don´ t experience anything at all. You will get many deekshas from very high enlightened dasas where you will feel an energy that just comes and goes away without giving you any extraordinary experience. Most of the people after many days of nothing are even convinced that they have had in fact experiences, but at a such subtle level that they can not feel the senses. You will be taken to numerous rites. In the rites such as burning homas (sacrificial offerings of substances to the sacred fire) you will see some monks making a ritual to call the divine forces; another one to get enlightenment; another to call the (good) fotune. But soon you will realize that nothing of this is happening either. They will take you to see the avatar and his wife. You will see Amma just once and Bhagavan every Saturday. At his darshan, contrary to what is usually said or written, very few people have some significant experience. Experiences for the people who do the process will very much vary according to the lack of inner honesty and the programming. At the end of the process you will feel a bit of the Stockholm syndrome (a loyal prisoner who now identifies with the guards´ agenda) after now 21 days in the same place and with the same “no-experience” teachings. But then they will give you permission to give deeksha in your country and charge for it if you want. Many people who want to give therapy or just want to have some spiritual business in their countries, they just tolerate the whole course just to be given this diploma. As soon as you say bye to the dasas the relationship of disciple and teacher disappears as they have already what they wanted: your money. They hardly will answer your questions when you are back in your country. All what they say is that you will need a more advanced process of ten days where you will reach the highest state. Once you come again to India for this process you pay again $ 1,000 for ten days plus airplane ticket, so about $ 2,000 more to add to the $ 7,000 you spent already. This advanced course is nothing more but a repetition of the fist course. The dasas even bring into the classes the papers with the meditation written and again programming and more programming that will never happen. In this course they will tell you that Bhagavan is all of us (which is the only truth), but they say it in a way that does not make Bhagavan responsible for your enlightenment...Everything can happen and everything can not happen...If so, Tobi says, why do we pay for those processes? Of course the representatives or coordinator don´t want to cope with the total unsuccessful process in India. And they always say that enlightenment is a long process. In this way people who recently come from India will start doing deeksha evenings to attract more people and to take them to India for the process. All this makes this movement an enormous money pyramid based on some truths from the ancient Vedas and the destruction of the world for year 2012. Even this warning has been taken from the Central American Mayas and is not really theirs (the Hindus) nor does it appear in any of the ancient Hindu books. Predictions of doom are a great way to augment one´s business. In 2004-2005 Bhagavan predicted disaster for the city of Mumbay (aka Bombay). He predicted (in public darshans) Mumbai would slide into the sea, or crumble like a biscuit dipped in hot tea. And to save Mumbai it was necessary that a certain number of people (several thousands) from the state of Maharashtra achieve the deeksha. And to achieve the deeksha required sending 60 people for the deeksha (costing Rs 5000 - $ 125 US dollars), plus of course many paid donations of far more than that sum. Only then could Mumbai be saved from crumbling into the Indian Ocean. In his public darshans, it was also revealed that about 60% of mankind would be destroyed in a mega-tsunami that would come in 2006. Of course the only way to prevent this was those 64,000 people who had to get enlightened, for whom 64,000 times 60 had to have the deeksha. If we go by Indian costs, at a rate of Rs 41 per dollar, this comes to 470 million dollars. Add to that the donations that must be given for Amma´s darshan, Bhagavan´s darshan (Rs 100,000 then, now far more pricey, Tobi hears) and washing her dainty feet for Rs 100,000 (old rates, her feet are more expensive now) and you have a much larger sum. Giving Deeksha/Shaktipat (Oneness Blessing) is the same as trying to cause an awakening of the kundalini power in the receiver. Remember the names of Tony Robbins´ books: Unlimited Power and Awaken the Giant Within. Kundalini can therefore not be separated from the concept of Oneness Blessing. According to Tantrism kundalini is a latent spiritual power, which is situated in the bottom of the spinal column, behind the sexual organs. Symbolic it is seen as a slumbering, rolled serpent. The serpent can be awakened; that is: the spiritual energy can be released, normally through a special yoga technique. In spiralform it then moves from the foot of the spiral column up in the head, while it opens a line of psychological centers, called chakras. By awakening the Kundalini the yogi is said to gain supernatural abilities and spiritual insight, and he can attain the final liberation. So the awakening of Kundalini is said to be a necessary part of the spiritual practice; that is: the proces of awakening. But in the West Kundalini is best known as a part of a spiritual crisis. Spiritual crises often appear as unintended consequences of yoga, one-sided meditationtechniques, bodyoriented- and experiential psychotherapy, healing, energy transmission (for example Deeksha/Shaktipat), different types of rituals. Among other factors of release can be mentioned: births, unhappy love, celibacy, deep sorrow, high fever and intake of drugs. But a spiritual crisis can also come suddenly without traceable cause. You can suddenly be thrown out in such a crisis (see my article Spiritual crises as the cause of paranormal phenomena). When it is a matter of a spiritual crisis, then your consciousness and personality have slipped fundamentally out of balance, though in most cases not so much that you can be diagnosed as having a mental disease. But your process of awakening, your spiritual development, has left the rail, and ended up blind, either in suffering – The Dark Night of the Soul – or in ego-inflation. The manifestations of this form of crisis resemble the descriptions of the awakening of the serpent power, or Kundalini, found in historical Indian literature. As mentioned, then, according to the yogis, Kundalini is a creative cosmic energy that resides in latent form at the base of the human spine. It can become activated through meditation, specific exercises, the intervention of an “accomplished” spiritual teacher, or sometimes for reasons that are unknown. The activated Kundalini rises through the channels in the “subtle body”, which is described in the yogic literature as a field of non-physical energy surrounding and infusing the physical body. As it ascends, it clears old traumatic imprints and opens the centers of psychic energy, called chakras. This process, although highly valued and considered beneficial in the yogic traditions, is not without dangers and requires expert guidance by a guru, whose Kundalini is fully awakened and stabilized (an enlightened master). The most dramatic signs of Kundalini awakening are the physical and psychological manifestations called kriyas. One can experience intense sensations of energy and heat streaming up in the spine, associated with violent shaking, spasms, and twisting movements. Powerful waves of seemingly unmotivated emotions, such as anxiety, anger, sadness, or joy and ecstatic rapture, can surface and temporarily dominate the psyche. Visions of brilliant light or various archetypical beings and a variety of internally perceived sounds, as well as experiences of what seem to be memories from past lives, are very common. Involuntary and often uncontrollable behaviors complete the picture: talking in tongues, chanting unknown songs, assuming yogic postures and gestures, and making a variety of animal sounds and movements. Recently, unmistakable signs of this proces have been observed in thousand of westerners. California psychiatrist and eye doctor Lee Sannella, who first brought the Kundalini syndrome to the attention of Western audiences, single-handedly collected nearly one thousand such cases. A map over the spiritual journey can very shortly be said to have three steps: sleep, dream, awake, which again can be said to correspond to a journey through the personal, collective and universal time. In the beginning the wholeness is sleeping. That is the personal time. When you begin to practise spiritual - or through drugs, one-sided meditation-techniques, experiential psychotherapy, healing or shock – then the wholeness might begin to dream. This is due to an opening to the collective time, and a very dangerous opening. The collective time is the area of fantasies, myths, dreams, supernatural experiences, supernatural temptations such as clairvoyance, astral beings such as gods and demons, and so on. Many are the gurus who have ended their journey here, either in ego-inflation or in the dark night of the soul. Ego-inflation and the dark night of the soul are both examples on so-called spiritual crises. Spiritual crises can be categorized in the following types: 1) The awakening of kundalini, 2) Para-psychic opening (clairvoyance), 3) Spiritual crises as a Hero´s journey (experiences of a journey through good and evil forces as in The Lord of The Rings), 4) The shamanic crisis, 5) Channeling, 6) Close encounters with UFOs, 7) Breakthrough of memories from past lifes, 8) Near-death experiences, 9) Possession states, 10) Oneness Consciousness (peak experiences), 11) Alcohol and drug abuse. True spiritual practice is about leading people around the areas/experiences of the collective time, into the universal time where the wholeness is awake. Enlightenment simply means to be awake, to have realized the nature of the wholeness. The whole thing reminds about waking up from sleep and dreams. The reason why it is necessary to lead people around the collective time, or shorten the passage through it, is because that discarnate entities from these areas are using people or cults (collective energy processes in mass phenomenons: religious, spiritual, political, sports or other type) as psychic channels, working interdimensionally to create all sorts of “experiences” in people, experiences that seems dazzling and/or extraordinary – but with the purpose to use their energy as food. That is: a kind of vampires, or even worse. The ”positive” aspect of a spiritual crisis is the most self-deceptive, because it usually ends up in ego-inflation and total lack of self-realization. When the ego has embezzled itself energy, which rightly belong to the collective time (which lies beyond the personal time) there arises ego-inflation. The ego blows itself up using energy, which not rightly belong to the ego. This gives gives a sense of that the “old” ego has disappeared, or has been altered, which gives a good feeling, a positive feeling, even a peak experience. The illusion, and the danger, is that your dark side, the whole complex of thought distortions, also are getting inflated. Self-help gurus, and New Age devotees, can for example be breathtaking in their combination of self-confidence and absurdity, where they with no hesitation are bullying highly educated and/or experienced experts. They don´t care whether it is scientists, philosophers, or mystics, what they care about is whether such persons dare to be critical towards the ideology of the self-help industry (see my articles Management theory and the self-help industry and Six common traits of New Age that distort spirituality). The reason is that the subjectivism and relativism in these environments, eliminate critical thinking (discrimination), and thereby makes you vulnerable for magical thinking and ego-inflation. There are three main forms of ego-inflation: intellectual, identifical and euphoric inflation. Intellectual ego-inflation is extremely widely-spread, especially today where so much knowledge is made common, and where practically everybody goes through one or the other form of theoretical education, or at least get knowledge of it through the medias. Intellectual ego-inflation is in fact one of the fundamental hindrances of the opening in towards the Source, a malfunction in the mind, which is a crucial cause of the ignorance, conflicts and sufferings of Man (see my article The four philosophical hindrances and openings). Intellectual ego-inflation has to do with lack of rationality. You take your assumptions, conceptions and values as absolute truths, whereby you end up in a contradiction between your thoughts and your lived life. It is actually a lack of ground connection. In general, in intellectual circles, in cultural connections, and in the political life, they have always accepted intellectual ego-inflation – but as mentioned it is one of the most crucial causes of all the conflicts, wars and violence, which the world are characterized by. People and their opinions and –isms, political directions etc., all of it is as a rule mainly an intellect play characterized by a contradiction between thoughts and lived life. One is idealist, another realist, one is Marxist, atheist, another Christian, charitable, but if you look into these people´s existence, look into their actual life, then you quickly discover the contradictions. Kierkegaard called it ”the litany madness”: people can repeat the right doctrines and principles by rote, but when it comes to reality, to their way of living, then you discover all the contradictions. As mentioned: within the environment of New Age and the self-help industry intellectual ego-inflation is extremely widely-spread, and when the game, as here, is about the development of Man, about the dephts of the mind, about archetypical powers, about the Source of life, then intellectual ego-inflation can be a hazardous play. When the intellectual knowledge begins to approach religious areas, wisdom of life, therapy, meditation, spirit, then the ego can misjudge itself by being intoxicated by its intellectual understanding of deep phenomena. It is easy to know and understand the profound in an intellectual way. Everybody can say ”meditation is to become silent, without thoughts, without words, images”, but try to be silent, try to be awake without thoughts. It is a widely spread misunderstanding in the meditation-circles of New Age and self-help, that meditation consists in being completely without thinking (time after time I have been criticized for that I emphasize the significance of philosophy in the meditationprocess). An enlightened master has admittedly no need of thinking, of philosophy, because he is in a condition of being (though he always uses a philosophical kind of counseling – see my article Philosophical counseling as an alternative to psychotherapy). But a person, who then just repeat this (”I have no need of thinking, of philosophy, because I am in a condition of being”), without being enlightened, has a seriously problem with ego-inflation. Socrates was fully aware of the problem in this, when he consistently called himself philosopher (a lover of wisdom, one who seeks wisdom, but who has not yet found it) – and not a sage (guru/enlightened master). It namely gives ground connection. All people, who are not enlightened, are in need of thinking, of contemplation, of reflection – of philosophy. Intellectually the whole thing with development, with dream understanding, with therapy and chakras, is very easy to understand. And very easy to tell others about – and get success on. There are incredibly many in the world today, who speak and talk about energy and chakras without ever really having had experiences with chakras and energy. This is intellectual theft, it is self-deceit, it is ego-inflation – and it will unavoidably lead to misguiding of others. Especially when so many of the new New Age methods and systems are deeply characterized by flaws and delusions. The tool to be used against intellectual ego-inflation is in other words rationality and critical thinking, therefore philosophical training, where you investigate the validity of your assumptions, conceptions and values, and seek after coherence between your thoughts and your lived life. 1) Identification with an outer power, which doesn´t belong to the ego (an institution, a teacher, others´ techniques, meditation-centres, one´s role). The tool to be used against this form of ego-inflation is authentic spiritual practice; that is to say: where you understand the difference between the content of consciousness and the form of consciousness - that in neutrality to seperate yourself from the content of consciousness, for thereby to direct yourself towards the form of consciousness. Discrimination, or simply: critical thinking. The euphorical ego-inflation is mainly due to up-streaming energy. There are then real transformation-processes in the chakra-system, and the transformed or released energy is rising upwards – it feels and is described this way, for then, in the consciousness, to bring about states of ecstasy, spiritual intoxication, exaltation, blissfulness. Oneness-consciousness as a spiritual crisis belongs to euphorical ego-inflation. Mystics in the West have called this euphorical ego-inflation ”jubilatio”. It can escalate and completely take the ground connection away from a person, so that you think, that you can fly, that you will be carried by angels. You fly in Sukavati, in Firdaus, in Paradise, in Elysium, as a balloon in the blue air. As mentioned: the euphorical ego-inflation lies behind oneness-consciousness as spiritual crisis; that is to say: it is not a real experience of enlightenment, but precisely a crisis; rather than being a genuine mystical experience, it is a so-called peak experience. The mystics (for example Meister Eckhart, Tauler, Seuse) discriminated between ”jubilatio” and ”inflammatio”, the ecstacy and the inflammation. And the euphorical inflammation is dangerous. Very dangerous. The tools to be used against this ego-inflation is partially ground connection (Hara, earth bound work, preferably with other people, for example as social- and careworker), partially again realization work, discrimination (critical thinking), humble separation of the ego and the spirit, between the ego and the rising, bubbleling, jubilant delight. Moreover ethical practice, training of compassion, for example through Tonglen practice (in my book Meditation as an Art of Life – a basic reader I have described supporting exercises such as Hara and Tonglen). One of the deep reasons why they in monasteries anywhere in the world are letting the monks work with dirt, cleaning, cooking, taking care of sick people and dying, was in order to, that they never should loose reality and the ground connection of sight. People, who are being catched by ego-inflation, begin, as a rule, to act like kings and queens, they shall not do anything practical, they shall not be adjusted, they fly. To all three kinds of ego-inflation there are in other words some philosophical principles and supporting exercises you ought to hold on to. And generally it is good to have knowledge about the thought distortion called Truth by Authority. There are today a vast amount of non-enlightened New Age/self-help gurus (in science of religion they actually have no numbers of this enormous market) – they might very well have strange paranormal abilities, it doesn´t matter in this question – who get authority by claiming, that their teaching, either is coming from a state of enlightenment, is being channeled from some kind of divine source, or are coming from clairvoyant abilities (see my articles Paranormal phenomena seen in connection with channeling, and Paranormal phenomena seen in connection with clairvoyance). If such teachers put their teaching forward in this way, you can be hundred procent sure, that this teacher has a problem with ego-inflation (if he is not directly a fraud -and them there are thousands of within New Age). Why? Because no real enlightened master would argue in this way. True enlightened masters, or sober spiritual teachers, speak from their own source, and are always characterized by humility. Just look at Dalai Lama, who incessantly claims, that he hasn´t reached the full Rigpa, and that he is just a beginner. True enlightened masters, as well as sober spiritual teachers, are also always philosophers, who are giving reasons and presenting arguments to support conclusions. Truth by Authority is about taking statements to be true simply because an alleged authority (experts, teachers, states of enlightenment, divine sources, paranormal abilities, etc.) on the matter has said/justified that they are true. A level of critical thinking is always appropriate, because the statement may be based on different kinds of thought distortions such as magical thinking, false premises, faulty reasoning, wishful thinking or vested interests. People, who in their arguments/teachings, again and again, have to defer to some authority (experts, teachers, states of enlightenment, divine sources, paranormal abilities) in order to justify their arguments/teachings, are hundred procent on the wrong track, even if they should have some paranormal abilities. Again it is interesting to see, that true enlightened masters, as well as sober spiritual teachers, never do this. And interesting, that probably most of the many people, who have made a business on being clairvoyants/mediums/channelers etc., will fall for Truth by Authority. In accordance with the authentic spiritual traditions the movement of time is a power, an expression of energy, which follows some laws. These laws are also called compensatory karma. They work in all cycles of life. On the plane of the outer forms there are birth and death, creation and destruction, growth and dissolution of apparently separated outer forms. This is reflected everywhere: the life-cycle of a star, a planet, a physical body, a tree or a flower; in the rise and fall of nations, political systems and civilizations; and in the inevitable cycles of gain and loss in the individual person´s life. A cycle can last from some hours to some years. There are big cycles and small cycles within the big ones. The cyclic nature of the Universe is closely connected with the impermanence of all things and all situations. Buddha made this into a central part of his teaching. It is also a central part of the teachings of the Buddhist philosopher Nagarjuna, which you can read about in my article A critique of Ken Wilber and his integral method. There are cycles with success, where things come to you, and you flourish, and cycles with defeat, where they wither away or wear down, and you become obliged to let go of them, in order to make space so that new things can arise, or so that there can happen a transformation. If you cling to them and make resistance at that time, this means, that you deny accompanying the stream of life, and then you will suffer. The problem with the positive psychology of the New Thought movement, and therefore the ideology of success coaching, is that it one-sided is focusing on that the up-cycles are positive, while the down-cycles are negative (see my article The New Thought movement and the law of attraction). In this way it induces in people the thought distortion called False dichotomy. False dichotomy is a misleading conception of possible alternatives. A dichotomy is a division in two alternatives. Often seen in the expressions Either/or – If/then, as for example: ”Either you are with us, or you are against us” – ”if I´m not always a success, then I´m a fiasco”. Similarly, someone who says that you must either believe that God exists or else that God doesn´t exist is setting up a false dichotomy since there is the well-known third option of the agnostic. A false dichotomy appears when somebody sets up a dichotomy in such a way, that it looks like, that there only are two possible conclusions, when the facts actual are, that there are many other alternatives which not are being mentioned. Many inappropriate rules of living and life-strategies are based on false dichotomy. False dichotomy is thinking in extremes, and leads to a false and imbalanced way of life. In connection with inappropriate basic assumptions such as "If I am not always a success, then I am a fiasco", the false dichotomy is closely related to the development of guilt, shame and depression. Note, that you can´t think in extremes such as I am a success, I am perfect, I am beautiful, without the opposite extreme. That is: if you for example follow the teaching of positive psychology, which excludes all negativity, then you induce in yourself a false dichotomy, because an exclusion of the opposite extreme not is possible. This is related to the thought distortion called Conversion to the opposite. You can for example convert your insecureness and anxiety for not being good enough to exaggerated self-confidence. Such a conversion is of course a kind of compensation, escape, self-deceit, and will lead to a false and imbalanced way of life. Sadly enough, it seems like the movement of positive psychology directly is using Conversion to the opposite as a central part of its training. Positive psychology is marked by its attempts, through thinking, to eliminate all negativity by converting it into something positive, or simply by ignoring it, or saying it doesn´t exists. But a thought is always defined by its negation; that is: what the thought not is. This means that a thought always contains a pair of opposites. So, you can not by the force of thinking (and therefore not by force of will or choice) convert negativity to positivity. If you nonetheless try to do this you will end up in focusing on the one extreme of a pair of opposites, which is an unbalance. The energy-laws within the wholeness will therefore seek to bring the thoughts back to the balance of middle. They do this through a contra-balancing movement; that is: a swing over in the opposite extreme. That is what is meant with compensatory karma (see my article What is karma?). Existentially seen Conversion to the opposite causes a conflict between what you are and what you want to become, or between being and becoming. Conversion to the opposite, and the above-mentioned problems, also seems to characterize Byron Katie´s method The Work, in her so-called Turnaround technique, where you always have to look at your thoughts as false (see my article A critique of Byron Katie and her therapeutic method The Work). In a true spiritual practice the transformation happens, partly through art of life, where you are dancing between the opposites (as in the teaching of Yin and Yang), and through deep meditative-existential inquiry. As long as your awareness is identified with thinking, you will have lost the contact with your deeper being, and only exist in the movement of time. You´ll have your identity in your lifesituation and be ignorant about the Source of Life. Therefore you will also suffer by being subject to the energy-laws and life-cycles in the movement of time. But suffering is closely connected with the fact, that you make resistance against impermanence. If you however know the energy-laws, you will know, that it is not true, that the up-cycles are positive, and the down-cycles are negative, except in the mind´s judgement. In accordance with the universal laws of energy, it is correct, that the thoughts and mind of Man are participating in creating the world, even the physical, but not in the way the self-help industry indicates it, yes, the self-help industry actual directly commit Hubris. This misunderstanding consists in a lack of discrimination between compensatory karma and progressive karma. Compensatory karma could also be called negative karma, while the progressive karma could be called positive karma. The negative karma is caused by the ego, or when the thoughts´ pendulum swings out in extremes, while the positive, progressive karma first will arise when the ego has been eliminated, and the thoughts are in balance between the extremes. In connection with this, it is important to know the difference between a selfish use of energy, and an unselfish use of energy. You can also term this as a demonical use of energy, and a spiritual use of energy, or as black and white magic. The Ego-religion and the Ego-exercises are the Ego´s incessant confirmation or denial of the Ego: “it is no use with me!”; or: “wonderful me!”. Both, either the denial or confirmation of the Ego, maintain the Ego-process, the Ego-identity and the Ego-centralization. The Ego´s religion and exercises are the Ego´s needs and longings and will: I want to, I think, I believe, I feel, I wish, I hope, I think, I believe, I feel, I wish, or, in its most common core: I, I, I…. The ordinary Ego-consciousness functions by being identified with the physical world, with instincts, sexuality, emotions and collective ideals. The traditional religious and philosophical exercises work through these aspects by means of, for example the core which exists in the basic monastic vows: poverty, chastity and obedience. These promises work with a restructuring of the Ego´s ownership to things, food and power, and they re-structure sexuality and emotions. First thereafter the mystical process can begin. No kind of psychotherapy can bring about this. The Ego-religion and the ego-exercises (as encouraged in the self-help industry) are black magic, satanism, etc. The Ego is a demonical structure, and it attracts demonical powers and energies, which also have been created by the Ego phenomenon. The astral world´s collective history manifests itself in a widely and indefinite area, for example could a broad spectrum of common human activities and organizations be called manifestations of the collective time: parties, state formations, wars, work communities, concerts, clans, tribes and sects, mass psychological phenomena, religious parishioners, fashion streams, group souls. Such incalculable common human undertakings are manifestations of collective energy– or lifeprocesses, in which there are great powers in play in the form of collective astral images. The same energy-process and function, which realized spiritual teachers use, can therefore be used for other purposes than spiritual. When the energy-processes of the astral plane´s collective history are used spiritual, then the Ego, in its egoistic isolating and self-affirmative function, steps aside, and the energy is turned into the Now, and therefore in towards the Source and the spiritual dimension. The people, who around a spiritual teacher, constitute an energy-mandala, are in this way made transparent for a higher common human spirituality. In a lesser realized person´s use of energy the contact with, and the ability to manipulate with such collective forms of astral energy, can be used for other purposes than spiritual. It can be creative, Ego-affirmative, political, demonical and so on. The powers that, by realized spiritual teachers, are given to others´ disposal in healing, energy transmission and spiritual information exchange, the same powers can themselves be turned in through the Ego-structures, and therewith into past and future, and fragmentation (conflict). In this way there can be opened creative channels, created super Egos, created political leaders and popular seducers (in my article The philosophy of Karen Blixen I have investigated these phenomena in depth). As a comment to Kevin Dann´s blog on Deeksha, Joshua Rosenthal is telling that he was throwing this great party in Tokyo and close to the peak of the event, this Deeksha leader asked if she could speak for a minute – she had a gift for Joshua, she said, and Joshua answered: “sure, no problem.” First in Japanese and then in English she got everyone to lie on their back and then – to cut to the chase, she did this eye touching, meaning touching everyone´s third eye and “sending them energy”. Well, Joshua writes, besides the fact that she hijacked his party, at the end of the exercise she looked glowing and full of life while everyone else, including Joshua, had lost their buzz and soon decided to go home. So Joshua thought to himself, it seemed like she was receiving energy. This comment is interesting because none of the participants in the party had went through all the communal reinforcement in the Oneness movement, no one had identified with any teaching, etc. These phenomena are well known from history and from literature. In the story about the temptation in the desert, we can see these possible ways of using the energy pictured in anticipated form. Here you see the possibility of using the freedom and the power, to elevation of the Ego and the consequent power and material glory. But Jesus abstains from this deification of the Ego. It is also known from the Faust myth, described by for example Goethe and Thomas Mann. When you in a selfish way use the powers from the collective history of the astral plane, and which demonical astral beings will help you with (because the ego phenomenon is their magnet of attraction) you can create personal power and material glory. That is the essence of black magic. But you will eventually meet the compensatory karma, or Nemesis. In accordance with the authentic spiritual traditions the movement of time is a power, an expression of energy, which follows some laws. This power moves in wave-movements, pendulum-movements, in situation-movements, as well as in circulation-movements. The universal laws of energy in the movement of time are known as Tao, The Dharmalaw, Karma, Destiny, Hubris-nemesis, Logos, The will of God, etc. You can in short not use these energies as you want to; that is: through, for instance, “positive” thinking, or through deeksha giving. The eternal circling around your own dreams, desires, success etc. will in other words be contra-balanced through the opposite categories. The self-help industry – and the Oneness movement - here exposes itself, and its followers, for the possibility of Nemesis. An example: as soon as your thoughts spread themselves too much out in an extreme, the energy-system compensates by seeking to bring itself back to the balance of the middle. The system does this by seeking over towards the opposite extreme (for instance from perfectionism to feeling of fiasco). That is: through a contrabalancing, a compensation. The energy works as a pendulum. The more energy, which is invested in the one extreme of a pair of opposites, the larger the swing in the opposite direction becomes, as it is the case with the Oneness movement. Now, if you test success coaching in relation to this law, then the law will say: the ideals about power/perfectionism/success only exist in relation to their opposites, namely powerlessness, fiasco, loss. If you are extremely occupied by your own success, the system will seek to balance your thoughts by bringing them over in the opposite extreme, namely the powerlessness and the fiasco. It is therefore evident, that these modern ideals about being a success and a winner are participating in creating a swing over in stress, anxiety, depression – or failure, fiasco. The case of the self-help guru James Arthur Ray and the sweat lodge tragedy is an example of how it happens (see my article James Arthur Ray and the sweat lodge tragedy). What is applying for the individual person, also is applying for the collective and for nature. You can therefore also watch these laws of energy in groups, societies, world-images, yes, in the whole of mankind, as well as in the Universe. Today the Ego-extreme is reflected in countless fields. Too much energy is invested in armament; too many atomic weapons; too much pollution; too unequal distribution of the riches of the Earth; too unequal distribution of the food and fruits of the Earth. And first of all: too many people are too focused in their Ego; they accumulate energy to their Ego, to oneself; or to the family Ego; the company’s Ego; the national Ego. Now, if you look at the energy-law, then this is the energy in its one extremity. With necessity the energy will swing over in the opposite extreme. And this will not happen in a silent way, when you consider the enormous moment which is in the actual extreme, and it will happen very simple: through pollution of the environment, through disease (aids, cancer and other) through warfare, terror, crises, inner mass psychotic collapses, and through natural disasters. However, a true spiritual practice is to be aware, when your thoughts move too far out. In the situation you can therefore try to remember the opposite extreme and seek to bring it in. This makes the situation much more true (this is actually also a quite central aspect of critical thinking – see examples in my book A dictionary of thought distortions). The awareness itself is in the Now, in the oneness of the opposites, and therefore in the fulcrum, which is the unmoved being in the centre of the circular movement of time. Also when something else fluctuates and dances between the swings of the extremes. Therefore the training of the awareness in itself will gradually prevent, that there is given impulse to the swings. It is the Golden Mean, which Aristotle and Buddha talked about, and which Lao Tse describes in his book Tao Te King. The Golden Mean can generally be formulated as the art of balancing between the extremes too much and too little. To strike the Golden Mean is an art of life, and to strike this path is a necessary suggestion for how we can prevent compensatory karma to happen, both in our own lifes, as in the world. And then our spiritual essence can begin to awake, and progressive karma will be activated.